Introduction: This is simple library for creating textview expandable. Like Continue or Less. 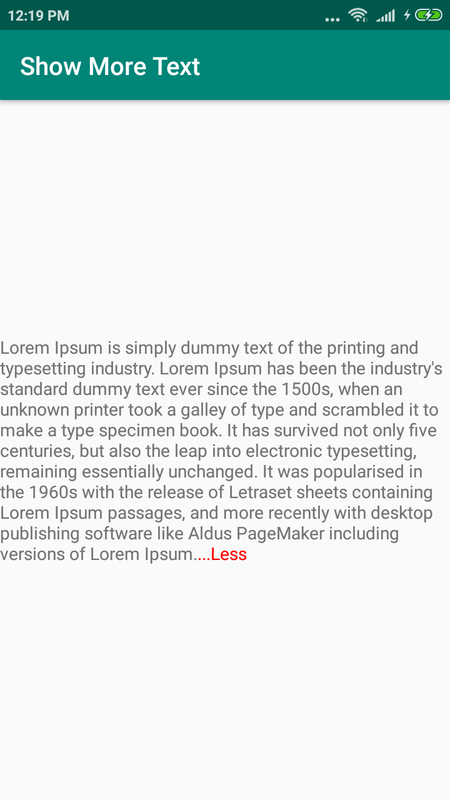 This library extended versiion TextView. Easy to use. You have to use just this xml. You can modify or set color your own textView. 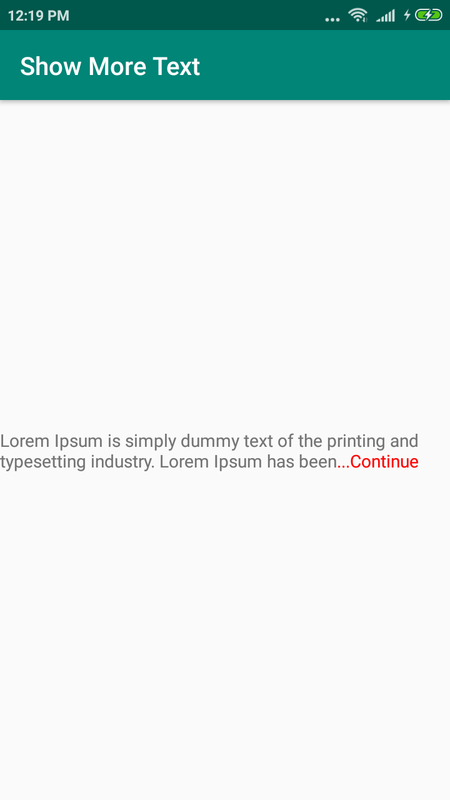 But don`t need to use maxLength or maxLine in text view. It may be confilict with library.